“I think when you combine all of this [training] with the fact that our students get hands-on practical experience during the entire two years they are with us—we offer the best two-year EV education available.” Speaking as one of the graduates, I have to agree. The program was one of the best experiences of my life. 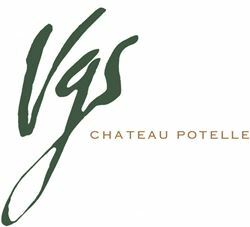 A blend of 85% Tempranillo and 15% Syrah from the Walla Walla Valley at Les Collines Vineyard, located at the foot of the Blue Mountains. I definitely knew it was Walla Walla fruit from the smoky nose that reminded me of autumn nights in the Walla Walla Valley. And just like the first time I enjoyed it a year ago, I found myself with my nose deep into the bowl of the glass constantly soaking in the familiar aroma. It is a very layered wine, which I feel is due to the addition of the syrah being responsible for the extra richness of the wine. Flavors of cherry and plum pies exploded in the mid-palate while leaving a long finish of caramel and crème brulée. To sum it up in one word: Elegant. For Catie’s full review see her blog Through the Walla Walla Grape Vine. In 2006, the Port of Walla Walla in Washington State constructed buildings to serve as space for new start-up wineries. Inside the five whimsical-colored buildings, that resemble a village out of “The Simpsons” cartoon, are winemakers with an entrepreneurial spirit and the dream of someday flying away from the incubators to be on their own.